Patients in the Highlands are having to wait up to twice as long for treatments as they did three years ago, shock new figures have revealed. In the worst area of healthcare covered, the length of time people have to wait for ophthalmology or eye treatment has doubled in the last three years – from 12 weeks in 2015 to 24 weeks in 2018. 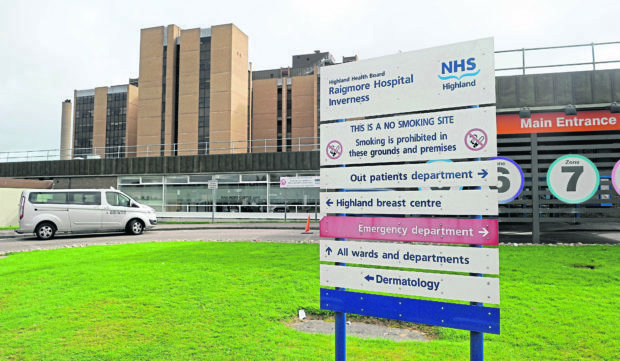 However, the health board is making efforts to improve, having recently expanded the out-patient clinic at Raigmore Hospital in Inverness for ophthalmology. The team has also been recruiting for consultant posts at Caithness General Hospital to enable patients to be seen faster and more locally. But Highlands and Islands MSP Edward Mountain said more must be done to ensure patients are not waiting for treatment. “Patients have been guaranteed treatment by the Scottish Government within 12 weeks but under the leadership of NHS Highland and this Scottish Government waiting times are getting longer and longer,” he said. “In 2015 you could receive orthopaedic treatment in 29 weeks, in 2018 this has got worse and patients now have to wait 38 weeks. “Rheumatology and urology have also shown an increase in waiting times, albeit smaller. “All this under an executive management that has overspent their budget in 2017 and appear set to overspend in 2018. The figures show the wait for rheumatology increased from three weeks in 2015 to four in 2018. For urology the wait increased from 15 weeks to 18 during the same time frame. The Scottish Government’s 12-week waiting time guarantee, which is enshrined in law by the Patient Rights Act (Scotland) 2011. It places a legal requirement on health boards that once planned inpatient and day case treatment has been agreed, the patient must receive that treatment within 12 weeks. During the quarter ending March 2018, NHS Highland managed to meet the target in 75.9% of cases. She added the figures need to be considered in conjunction with length of time that patients are waiting for their outpatient appointment. A Scottish Government spokeman said: “As the health secretary has made clear, excessively long waiting times are unacceptable and must be eradicated.